FARM and domestic water security will be the focus of a series of Agriculture Victoria workshops over coming weeks. 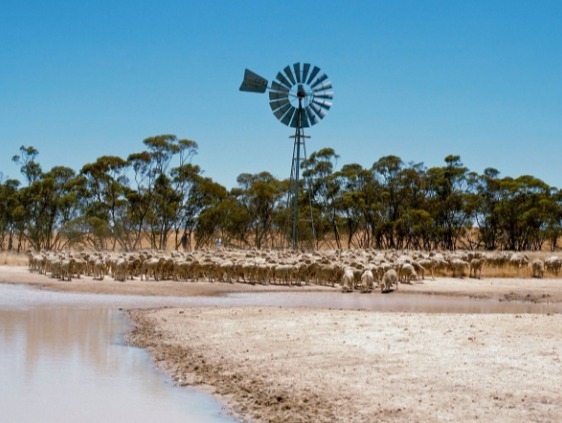 Agriculture Victoria is encouraging producers to find out how they can improve the security of their farm’s stock and domestic water supply at workshops at Goorambat, Seymour and Mansfield in late April and May. Agriculture Victoria ;land management officer Greg Bekker said the persistent dry conditions have created challenges for producers in providing reliable water supplies for their livestock. “Reliable water quality and quantity is essential to running a livestock business and ensuring stock welfare, farm productivity and business profitability. “These workshops are specifically designed for producers to assess their current farm water supply situation and explore options to improve stock and domestic water security into the future,” Mr Bekker said. Gecko Clan and Up2Us Landcare Alliance are working with Agriculture Victoria to deliver these workshops. Agriculture Victoria and Rural Financial Counselling Service (Goorambat and Seymour) staff will be on hand to discuss dry seasonal conditions support available to farming families. Goorambat Hotel, 59 Halls Rd, Goorambat on Monday 29 April, 10am-1pm. Seymour DELWP, 15 Hume and Hovell Road, Seymour on Monday 6 May, 10am-1pm. Mansfield MACE, 145-147 High Street, Mansfield on Monday 20 May, 10am-1pm. Lunch will be provided following the workshops. Please advise of any dietary requirements.